Now Backupify provide a new service called Backupify for Personal Apps, which allows you to take the personal backup of all your personal accounts like Facebook, Gmail, Twitter, Google Drive, Flickr Blogger and other. It’s a simple and easy to use service which take the automated backup weekly and secure them from data loss due to hacking, user error, malicious deletion. Currently Backupify offers three plans to use Backupify for Personal Apps. First one is Free with 1 GB of storage, Second $5 a month for 10 GB of storage and Third $20 a month for 50 GB. Check out the screenshot below for more details about the plans of Backupify for Personal Apps Service. 1. Go to the Backupify Sign up page here and Sign up for the free account to get started. 2. 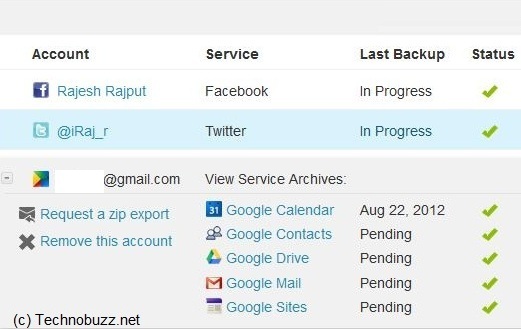 After the Signup you are on the Select Service Page, here you have to select the services which you want to add in Backupify account to take the regular backups. Select the service one by one and authorize the app to add then into your Backupify account. 3. 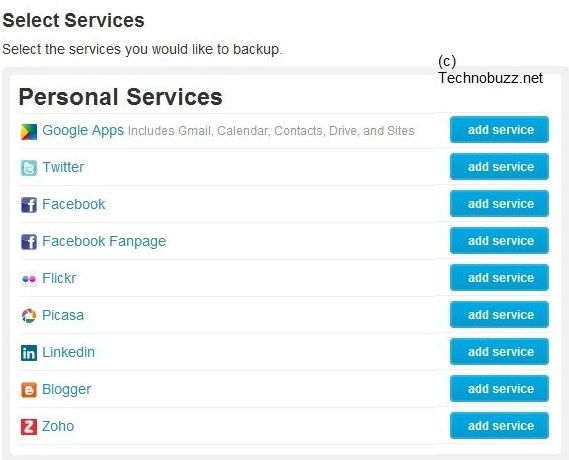 After adding all your Web account on your Backupify account, Backupfiy will start taking backup of all your account. Backup process will take some time to complete, the time depend on the size of the data of your web accounts. Backupify files are stored in Amazon Web Services (AWS), which are subject to the highest security and reliability standards in the world and boast a 99.9% uptime. 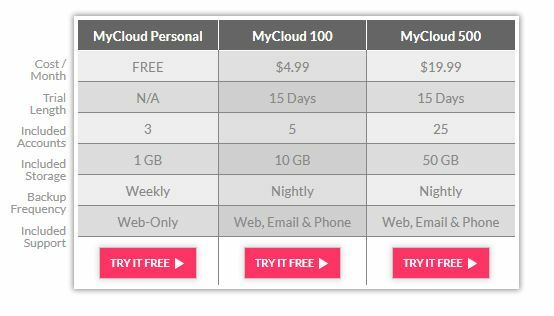 We are using the MyCloud Personal free account right now, which offers you take the backup of up to 3 social media accounts, to add more accounts you have to upgrade your plan. You must try this service and it’s easy to use and it takes only 2 minutes to signup the free service. Want to Know More About Duplicate File Finder?